The world is fascinated with a newly discovered photo that claims to show Amelia Earhart being held by the Japanese in 1937. That’s supposed to be her in the photo above with her back to the camera. The only problem is that experts at the US National Archives aren’t so sure about key assertions made in some of this week’s sensationalistic headlines. The History Channel plans to air its documentary, Amelia Earhart: The Lost Evidence, about the photo this Sunday, and you’ve no doubt seen the breathless coverage already. The central claim is that when Earhart disappeared in 1937 she actually survived a crash and was captured by the Japanese in the Marshall Islands. 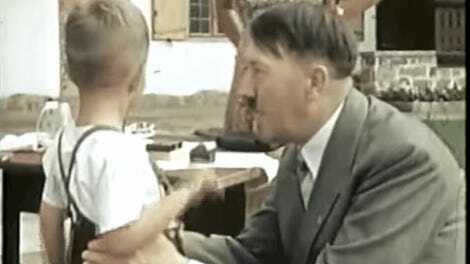 The claim hinges on the fact that this photo from the National Archives was taken in 1937. But Gizmodo contacted the US National Archives, and they don’t have any date for the photo. “Despite the headlines, there is no confirmation on either a date or content in the photograph from the National Archives,” James P. Pritchett, the director of public and media communications at the National Archives, told Gizmodo. “Our archivists have looked at all the materials filed with the photo in question and found no additional information about the photograph other than the caption that was marked on the image,” Pritchett continued. PL - MARSHALL ISLANDS, JALUIT ATOLL, JALUIT ISLAND. ONI # 14381 JALUIT HARBOR. It’s not clear what “PL” means, but there’s no other evidence at the National Archives that this photo is from 1937. The Daily Mail claimed that their own investigator (an unnamed source) went to the National Archives a year ago and discovered that the photo was actually from 1940, but the US National Archives tells Gizmodo that there’s no indication that this year is accurate either. “Other items in the box of records from the Office of Naval Intelligence included other images related to a geographic study of the Marshall Islands area and textual records related to the survey,” said Pritchett. But there’s still no clarity about the year. The National Archives uploaded both the back and front of the photo to its website late yesterday so that people can do their own sleuthing. The back of the photo appears below. It’s not clear why the photo is marked “confidential” but it probably has something to do with its origin being the US military. The History Channel special airs on Sunday at 9pm ET/PT and it will no doubt get great ratings. But it’s safe to say that you should take any claims made with a grain of salt. Even if you think that it looks like Earhart in the photo (which is a bit of a stretch if you ask me) the most important piece of information would be the year that the photo was taken. And according to the US National Archives, we just don’t know. And my biggest question about all this would have to do with the fact that the photo was taken by people working for the US Navy. 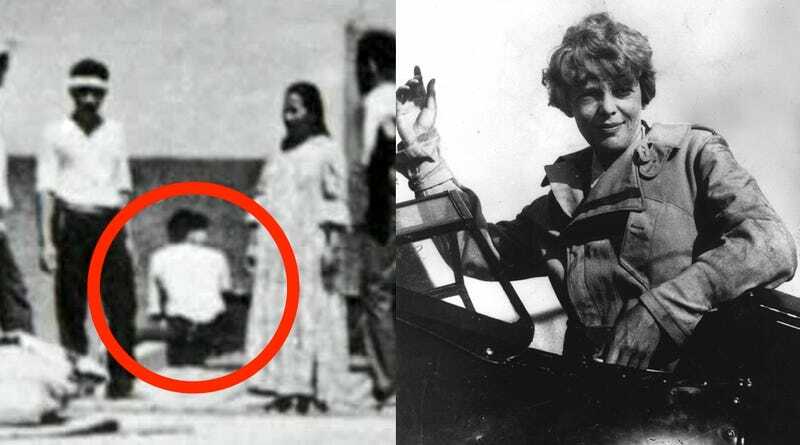 If the person who took this photo saw Amelia Earhart, an internationally recognized figure, alive and well in the Marshall Islands, it seems like they may have told someone about it.